High Court judge Justice Tawanda Chitapi today issued an arrest warrant when Gandawa failed to appear before the court to face charges for his corruption trial over the Zimbabwe Manpower Development Fund (Zimdef). According to Gandawa’s. Defence lawyer Bernard Chidziva, Gandawa was last seen before the recent harmonised elections in July 2018 , having been arrested together with Nicholas Mapute, the Zimdef principal director of finance, on charges of allegedly misappropriating over US$400,000 Zimdef funds. The arrests, by the Zimbabwe Anti-Corruption Commission. 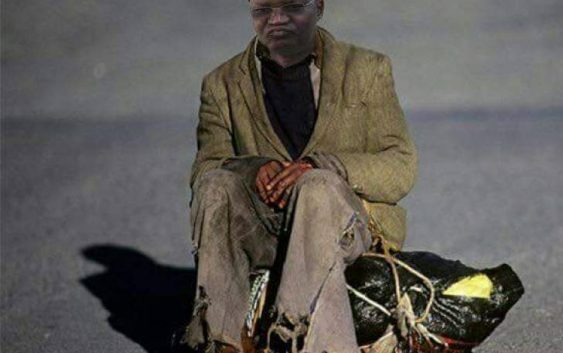 also drew in the self exiled former higher education minister Professor Jonathan Moyo. More news to follow. By SWibusiso Ngwenya. USA GEORGIA’S VOTER PURGE: strict voting Laws are being used in this day and age in Georgia to suppress the black vote in the mid term election.